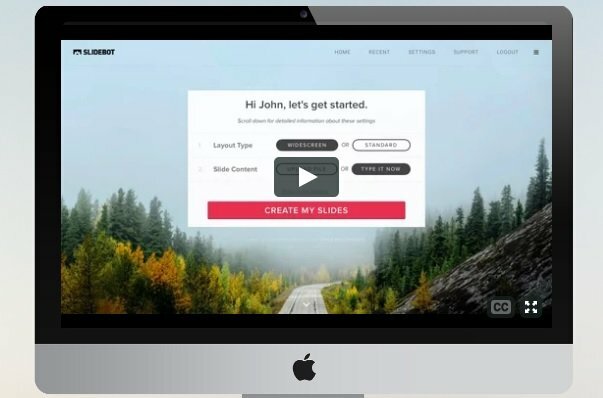 SlideBot lets you type the text you want to appear in each slide and then uses its software to design your slideshow in seconds. It’s pretty neat, and they’ve just unveiled a free education version. Unfortunately, if you want to be able to export it or use it in full-screen mode, it will cost $15. Those restrictions might make its use in education somewhat limited. However, I could also see some pretty major advantages, including eliminating the extensive time that some students spend on slide design. In addition, having students use SlideBot even a few times could be a good learning experience about good design of slides – its software appears pretty powerful based on my testing it out. I’m going to purchase the $15 dollar license for myself because it seems to create slideshows that are a hell of a lot better looking than the ones I create manually. Wow – “My Simple Show” Is An Extraordinary Tool For Creating Free Video “Explainers”). I’m adding this info to The Best Ways To Create Online Slideshows.